Walking down the stairs that lead from a concept store in Bastille, Paris, into Totem Collective’s showcase of Ren Hang’s last commission for them creates an unexpected impression. Little more than a week since his death, I had expected a different mood from the scene that greeted me: a well lit underground space, blasting pop music, filled with glamorous, almost exclusively young people. There is a sizeable queue for a bar making free drinks, and posters being given away. There’s a palpable buzz, an air of excitement; not the kind of memorial you might expect. The work is displayed in white frames hanging from the walls, brightly lit and set apart from one another so that each can be appreciated individually. 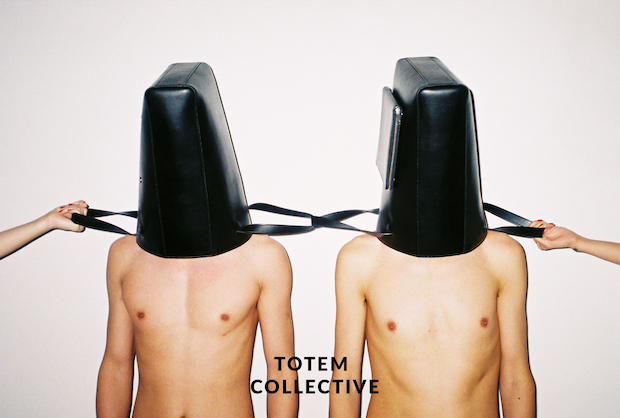 The images are, as ever, unmistakably Hang: sparse and unfussy, showing naked bodies playing with Totem Collective bags in a white-tiled shower. 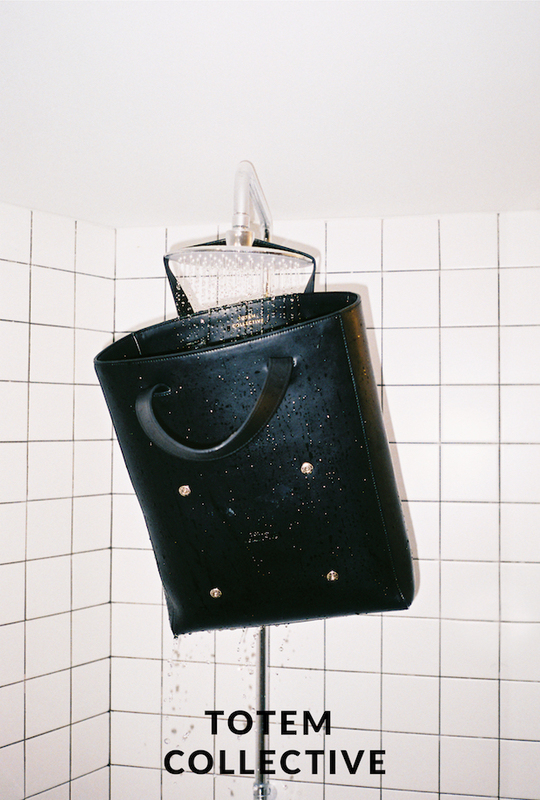 This is characteristic of Hang’s irreverent approach: rather than attempting to glamorise or sexualise the bags, as is often the case with campaign advertising, Hang’s models fill them with water from the shower head, or stand inside the bags and jump as though taking part in a sack race. The models themselves, though naked and red-lipped, are not sexualised either; they wear the bags as helmet or masks, look confrontationally to the camera as they pour water from the bag as if it were a jug, crouch and sip water from the shower head with a direct and almost feral gaze. It is rare that a young photographer develops such a singular, unusual, and consistent way of seeing, and this is what Ren Hang achieved. His images are immediately recognisable at the same time as they are striking, strange and funny, and it is tragic that we won’t see this vision develop. However, tragedy is not the mood at this event – it’s celebratory. A projector sprays his images across the wall next to a wall-to-ceiling grid of his prints. Framed posters lean against walls on the floor, unnoticed behind the legs of young people drinking cocktails; an irreverence of display fitting for Hang’s own playful visual style. This is an event full of joy, celebrating the life and work of a rare talent. All photographs (C) Ren Hang, courtesy of Totem Collective.